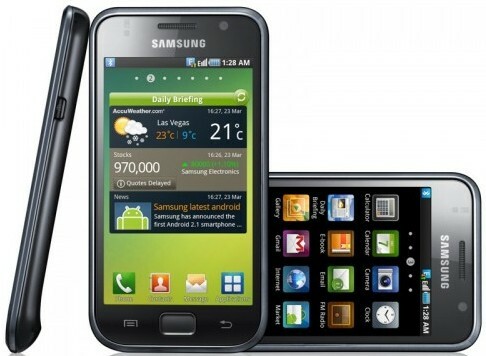 Samsung compaby has launched Samsung Galaxy S in Indian telecommunicaion market. The Galaxy S device i9000 related with higher price range and power is provided by Android 2.1 OS and 1GHz processor. Specification wise The Samsung Galaxy S attractive features a 4-inch Super AMOLED capacitive touchscreen display with 480 x 800 pixels resolution and comes with Gorilla Glass display & TouchWiz 3.0 UI. Multimedia wise The Android smartphone from Galaxy S i9000 features a 5 mega pixels primary camera, a front VGA camera for video calling or live chat , 8 GB/16GB internal memory + 512 MB RAM, 2GB ROM, up to 32GB expandable memory support through micro SD card slot , FM Radio wtih RDS, video Player, 3.5 mm audio jack . 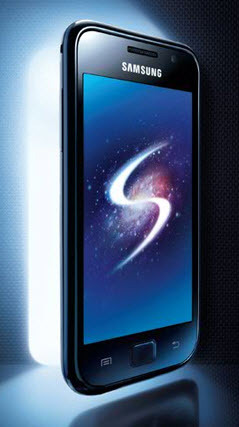 Samsung Galaxy S smartphone designed by bets engineers in Samsung company.